The annual NCAA Basketball Tournament, which has become known as “March Madness” has emerged as a major sports event, matched only by the Super Bowl and the Olympics. In Madness, Mark Mehler and Charles Paikert tell the stories behind the ten most compelling and memorable championship games in tournament history, from North Carolina’s triple-overtime victory over Wilt Chamberlain’s Kansas Wildcats in 1957 to Duke’s heart stopping victory over underdog Butler in 2010. As a bonus, five more games that just missed the cut are also examined. Madness goes beyond the games to tell the the backstories of these classics, each entirely unique unto itself. For example, Jim Valvano taking his impossible dream of a national title and making it come true for the 1983 North Carolina State Wolfpack; Rollie Massimino turning spaghetti and clam sauce into inspiration for his underachieving 1985 Villanova team; and Magic Johnson and Larry Bird, breaking down in tears while taking a Broadway curtain call in front of a wildly-applauding audience who two hours earlier didn't know who these two guys were decades after their head-to-head matchup in 1979. Some of these stories also resonate far beyond the basketball court, including the 1966 triumph by the Texas Western Miners, which helped chisel away the college basketball color line and stamped their victory as "Glory Road." 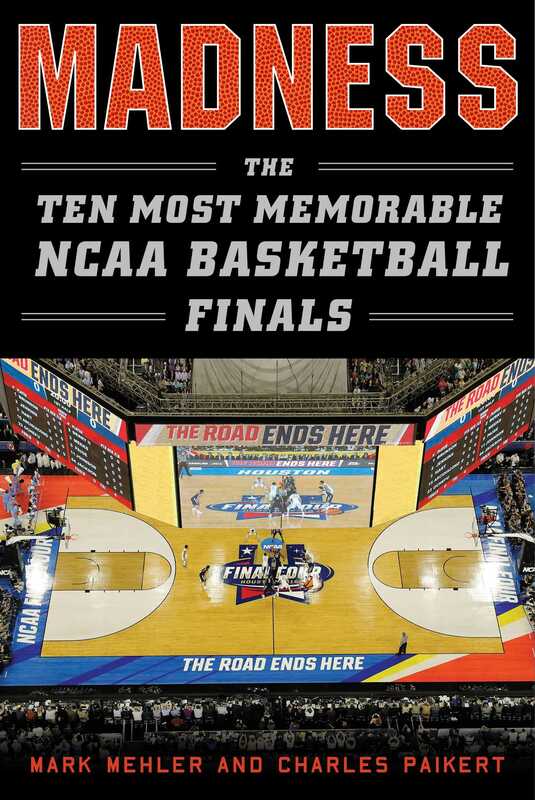 Over sixty years of college basketball history is brought to life in this must-have for all basketball fans. br>"Madness is for basketball lovers everywhere. Paikert and Mehler put you right in the middle of all the sneaker-squeaking, elbow-throwing, spine-tingling action—and also give you the overview of how it all came to be and what it all means. An absolute delight."